Ruth joined Halsalls in 2016. 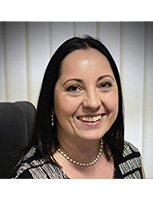 Admitted to the solicitor's roll in October 1989 Ruth has over 27 years of experience as a solicitor in the North West helping people with their legal issues and has extensive contacts with others in the legal community and with local experts. Recognition for Ruth's specialist areas has been given with a distinction from STEP (Society of Trust and Estate Practitioners) in their certificate for Wills, Trusts and Estates and for family law with an award of specialist accreditation by Resolution (an association of over 5,500 family lawyers committed to resolving disputes in a non-confrontational way and who follow a code of practice). Wills, Probate, estate planning and advice for the elderly, along with Power of Attorney appointments and registrations, and Court of Protection matters which include both Deputyship applications and ongoing management of clients’ affairs. Civil partnership dissolution and related issues. Ruth has also trained as a mediator and a Collaborative lawyer. She is a member of the Wills Inheritance Quality Scheme (WIQS), a Student member (awaiting Affiliate status) of the Society of Trust and Estate Practitioners (STEP) and a member of Resolution.